What are the main requirements to store grains safely. Most often, the value of the grain is usually greater than the cost of the structure in which it is stored. Minor expenditure in improving the quality of the storage can thus be quickly recovered if commodity losses are commensurably reduced. Compared to most other foodstuffs, such as meats and vegetables, grains are relatively easy to store. If grain is kept insect-free and below its safe moisture content, it will keep for many years with minimal loss of quality or nutritional value. Low temperature is an important factor in minimizing insect activity and in maintenance of nutritional quality in general. Storage at or below the safe moisture content is essential for prevention of deterioration caused by microorganisms and insects. Where insects are present, temperatures are high, and most especially where moisture content is above safe levels, then storage of grain becomes both risky and difficult, and losses will be difficult to avoid. It is in these circumstances that the type of storage facility and its design become critical to the safety of the stored grain. 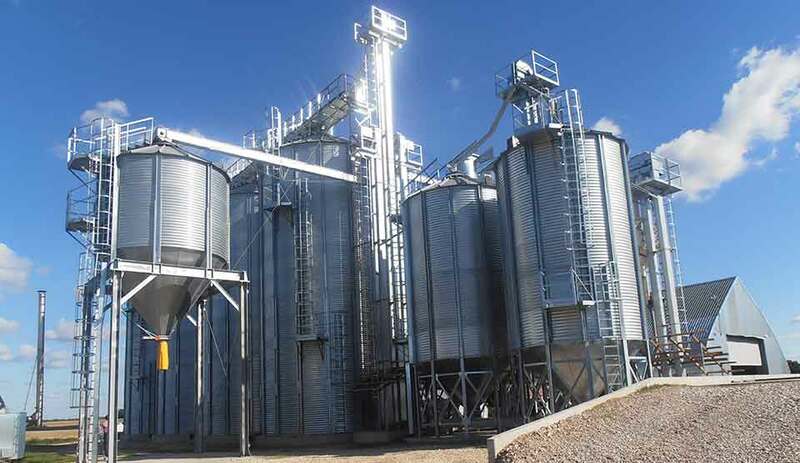 Whilst the choice of storage design is wide, the essential requirements needed to store grain safely remain the same. The storage structure must keep the grain free from water ingress, insects, rodents and birds. If grain is to be stored at moisture content above ‘safe’ levels, provision should be made for cooling the grain. The storage facility should also permit easy and economical disinfestation of grain in the event of insect infestation. A minor expenditure in improving the quality of the storage can be quickly recovered if commodity losses are commensurably reduced.